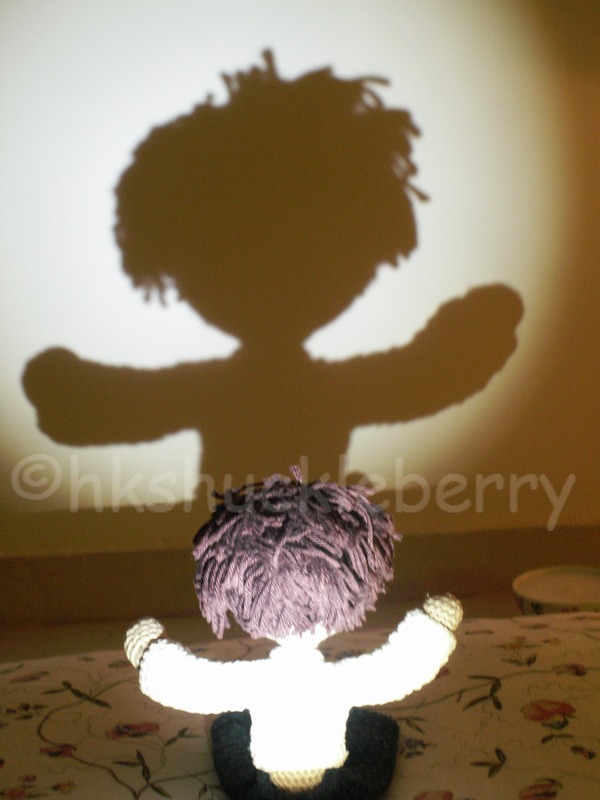 Pomi experimented with silhouettes when one night he woke up scared because of some noise he had heard outside. He wanted to scare off intruders by casting shadows :-). 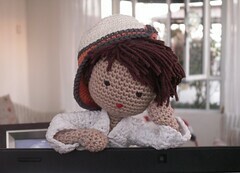 Yes, my little crochet guy trying to keep ‘the enemy’ out ;-).